There is nothing more distracting than a throbbing toothache, particularly one that is constantly painful. If you have been lucky enough to have not experienced a toothache, it is best described as a pain around or inside of the tooth. Many of us would rather endure or combat the pain with over the counter medicine then make an appointment with the dreaded dental drill. However, while a date with the dentist may seem intimidating, there are many non invasive methods that can help ease the pain and correct the root cause of your toothache. 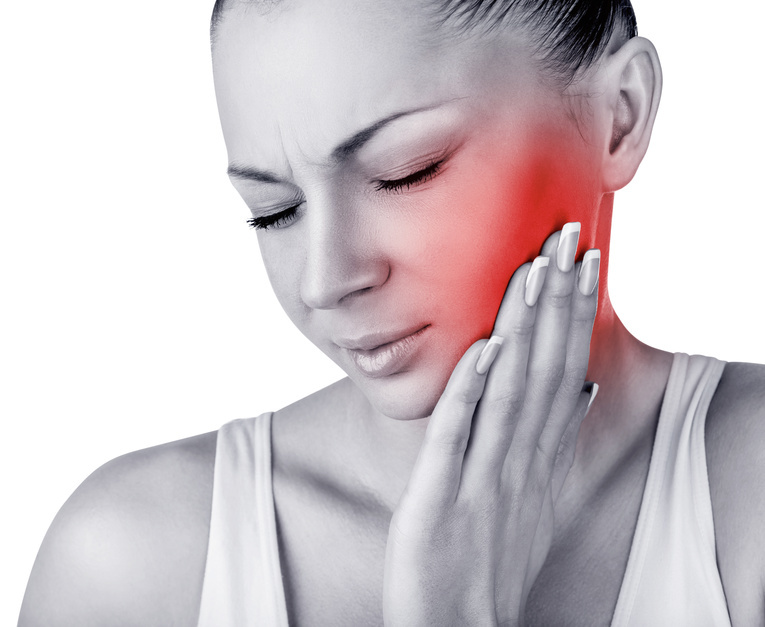 Ignoring a toothache for too long can lead to serious health conditions. So how do you know when it is time to see the dentist? Let’s first examine the different forms of tooth pain. No matter what you try to chew, it hurts. You’ve tried it all from pizzas to salads, which have left you with a throbbing tooth (or for the more unfortunate, teeth) and the inability to eat. Generally, any sort of pain when pressure is applied to the tooth while eating, is a strong indicator that there is a fracture (crack) and or tooth decay. That challenging experience of receiving occasional sharp bursts of pain in the tooth that only last for a few seconds. You are not entirely sure where it is coming from because it is so dull and quick but you do notice that it’s triggered by eating or drinking hot and cold items. Put down the coffee and ice cream until you get your gums checked. Sensitivity to hot and cold substances may denote gum recession along with the possibility of enamel loss or a very small dental cavity. The sooner you visit your dentist, the better, as this is generally the first sign of a bigger problem if left untreated. This kind of pain is constant, generally mild but noticeable enough to ruin your day. It’s a nagging consistent ache that can be a sign of serious nerve damage. It tends to be more severe in the mornings due to a night of grinding your teeth. People that tend to clench their jaw throughout the day have a higher chance of experiencing this type of pain. Tooth decay left untreated and trauma to the teeth due to a past injury left unfixed can lead to the persistent pain. Sometimes the pain is chronic but also intensely painful. So painful that you can’t eat, drink, sleep, or talk. This is when you should immediately contact your dentist to find the root cause of the pain. Extreme, persistent throbbing pain, which can leave you on the floor weeping like a baby is a strong indicator that you have a serious infection. You may experience a swollen face in the area of the pain, swollen gums, and the inability to function because it hurts so bad. Other symptoms may include a fever, headache or foul tasting discharge from the tooth. Have you woken up and wondered, “why is my jaw hurting so much?”. Or throughout the day you notice a certain tightness or tension around the jaw? This pain can be described as being less obvious in your tooth and more of a muscular discomfort. Impacted wisdom teeth, teeth grinding or TMD are some of the most typical causes and all can be easily treated. In rare occasions, pain around your jaw, facial bones and teeth can be signs of heart disease. Your dentist can evaluate this and refer you to a physician. Being proactive and taking a trip to your dentist upon feeling the first inkling of pain in your mouth can save you time and money. The sooner you can uncover the root cause of your painful problem, the quicker your dentist can find a solution and get you out of pain. Following are a few simple habits that will keep your teeth and gums healthy and also keep any invasive dental procedure at bay. Commit to brushing twice a day and incorporate flossing before bed. Visit your dentist every six months for a check up. Deep teeth cleanings are relatively painless and extremely effective at keeping gum disease away. Your dentist has a better chance at catching cavities or other issues early before a more serious problem develops. Avoid sugary juices, foods, and candies. Eat a diet rich in whole foods, especially items like carrots and celery as they have shown to help clean your teeth!